Government Bond Markets in the Euro Zone explains how Government bond markets work and the features and specifications of each type. 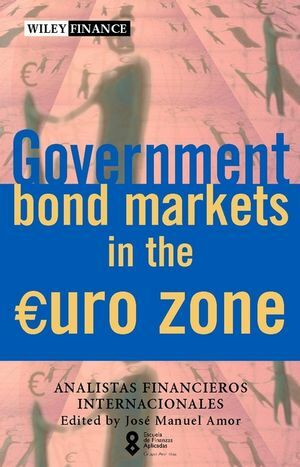 This book studies, in detail, the structure and techniques of bond markets in each EU country, the financial instruments issued by each treasury agency and also the primary and secondary Government bonds markets. Also included is information on clearing and settlement systems, fiscal treatment of Government bonds, market makers and other features within the markets. Escuela de Finanzas Aplicadas is the author of Government Bond Markets in the Euro Zone, published by Wiley. The Spanish Government Bond Market. The German Government Bond Market. The Austrian Government Bond Market. The Belgian Government Bond Market. The Finnish Government Bond Market. The French Government Bond Market. The Dutch Government Bond Market. The Irish Government Bond Market. The Italian Government Bond Market. The Portuguese Government Bond Market.